Dra. Mireia del Toro, MD, is the coordinator of the Metabolic Unit and consultant in the Pediatric Neurology Department in the Hospital Universitari Vall d’Hebron, Barcelona, Spain. 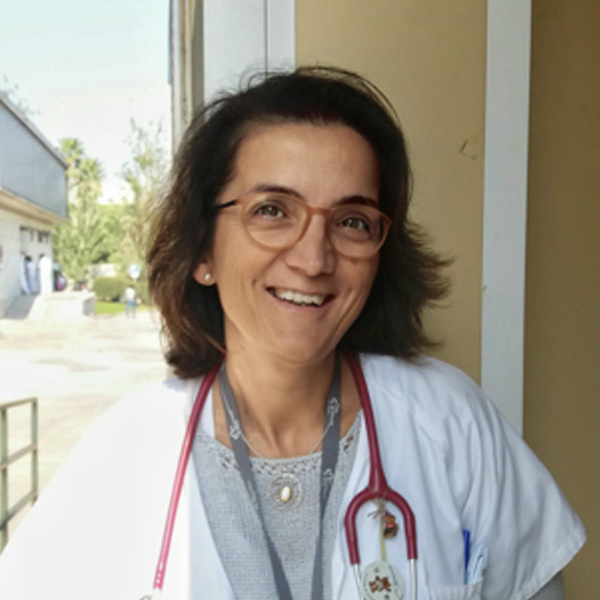 Dr del Toro received her MD from the Faculty of Medicine at the Autonomous University of Barcelona and completed her residency in Pediatrics at University Hospital Vall d’Hebron, where she also specialized as a Pediatric Neurologist with a special interest in neurometabolic diseases. As a specialist in metabolic diseases, Dr del Toro has conducted numerous studies into the genetics and treatment of different inborn errors of metabolism. She participates in the Newborn Screening Program and the Orphan Drugs Committee in Catalunya. In the past years Dr del Toro has specialized on lysosomal disorders participating in registries, advisory boards, meetings and clinical trials (MPS IIIA, Niemann Pick C). She has presented her research at more than 35 international meetings on neurometabolic diseases, published in international journals including the American Journal of Human Genetics, Journal of Inherited Metabolic Diseases, Nature Genetics and Molecular Genetics and Metabolism, among others. She is a long time member of the Society for the Study of Inborn Errors of Metabolism (SSIEM) and of the Spanish Association for the Study of Inborn Errors of Metabolism (AECOM). She is a member of national and international Boards on lysosomal disorders.